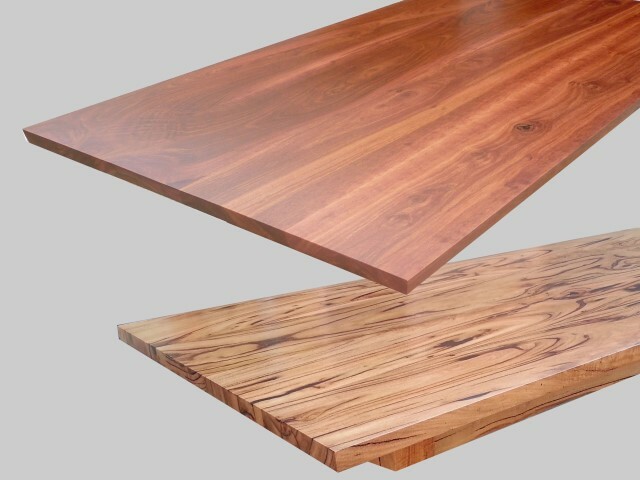 Customers can choose from a range of timbers, thicknesses, finishes, edge profiles, and joins, and these are illustrated below. 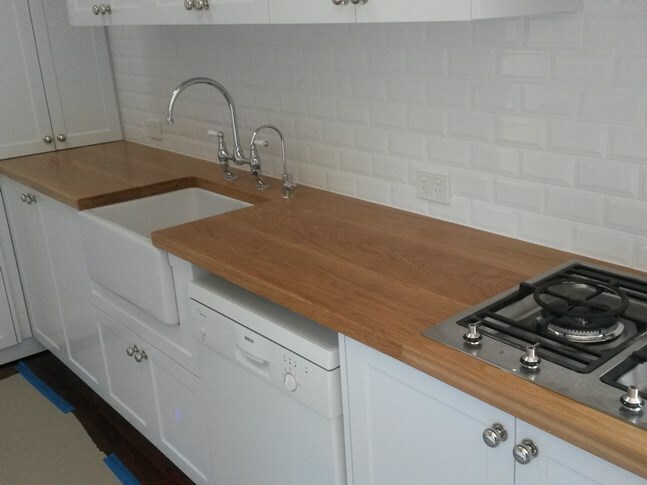 We generally quote on a square meter basis, plus a delivery and fitting charge. 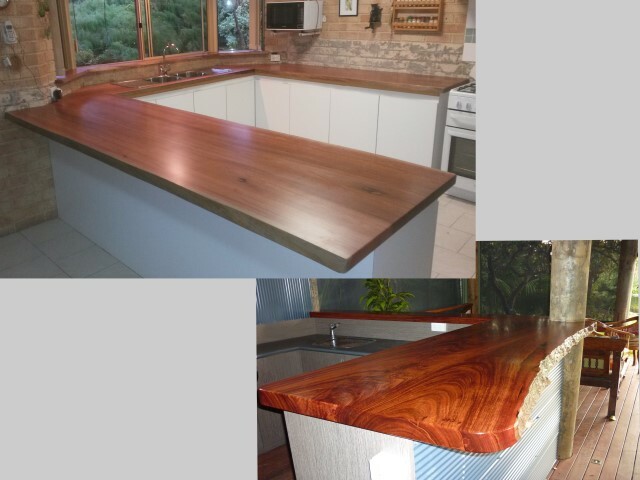 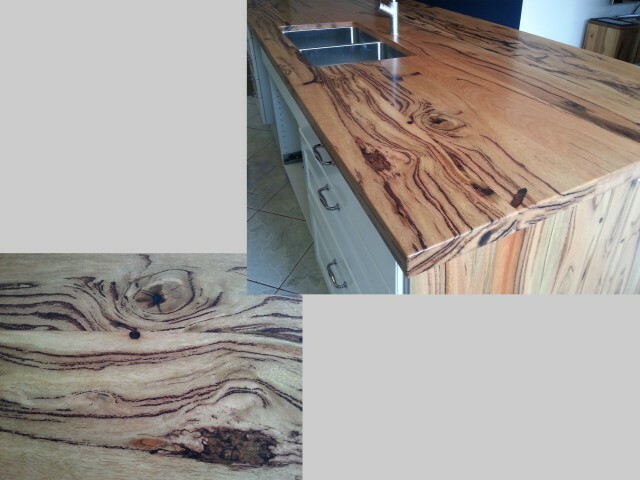 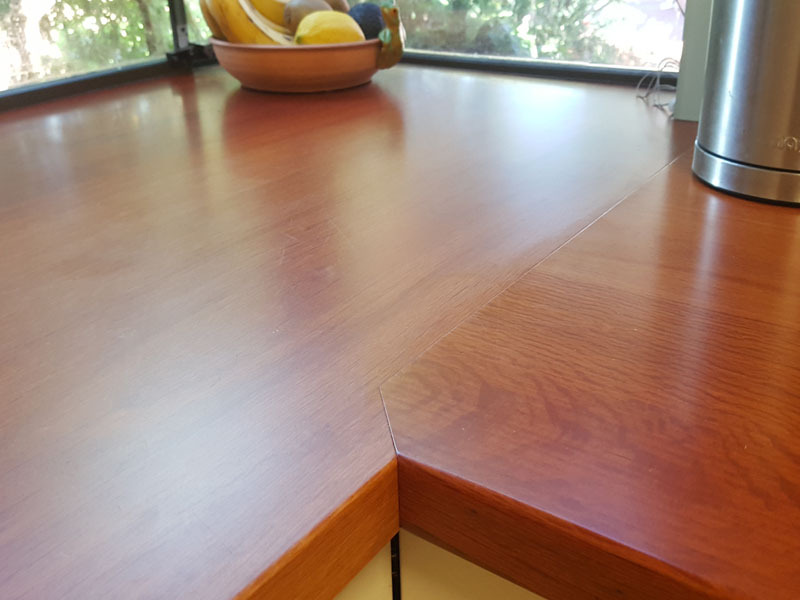 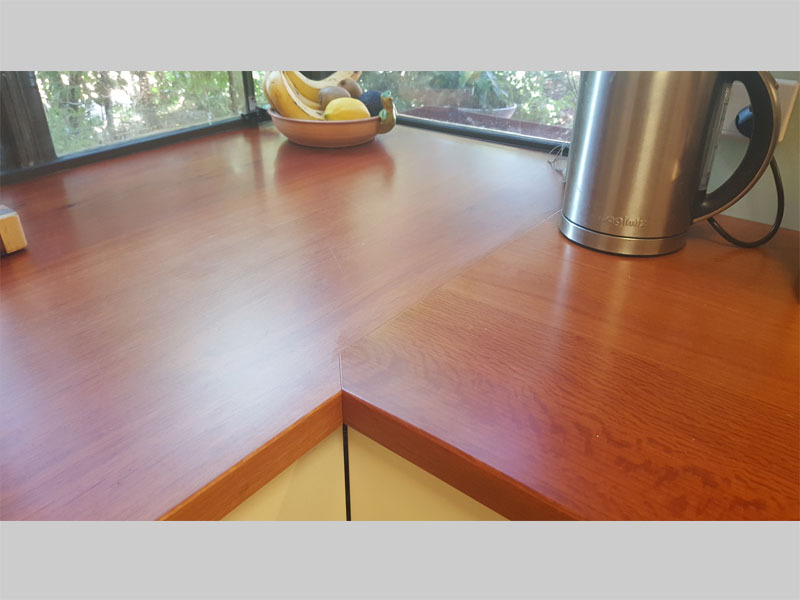 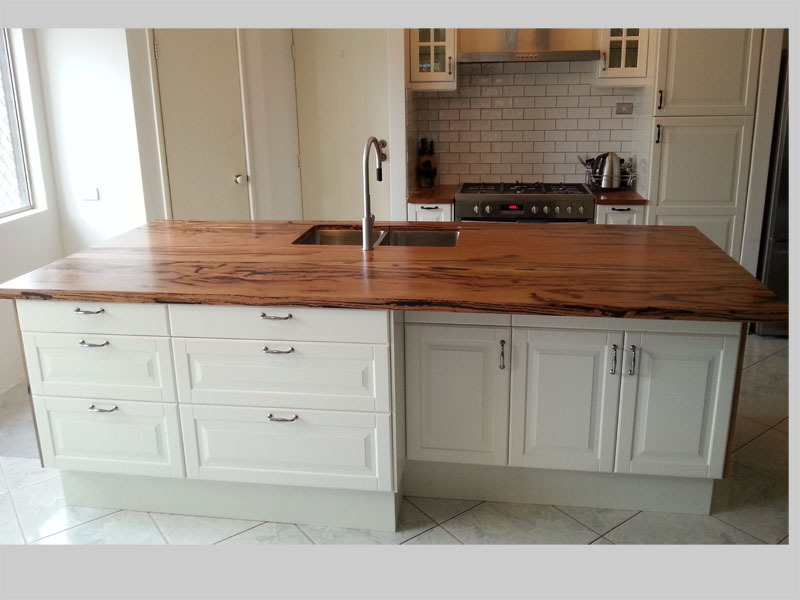 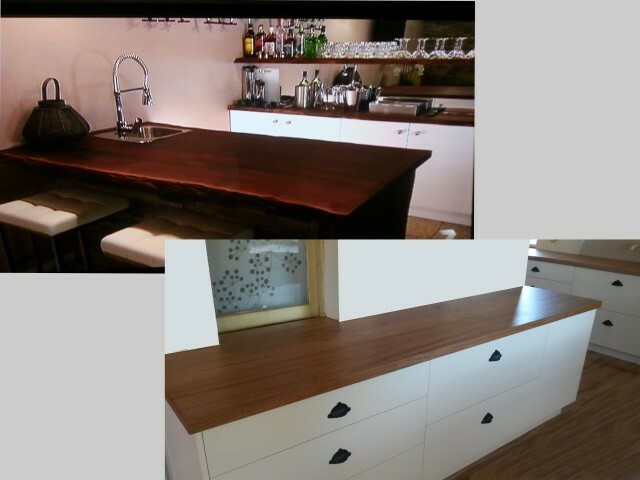 In some situations it is necessary to prepare templates of the bench tops, to ensure the fitting is exact. 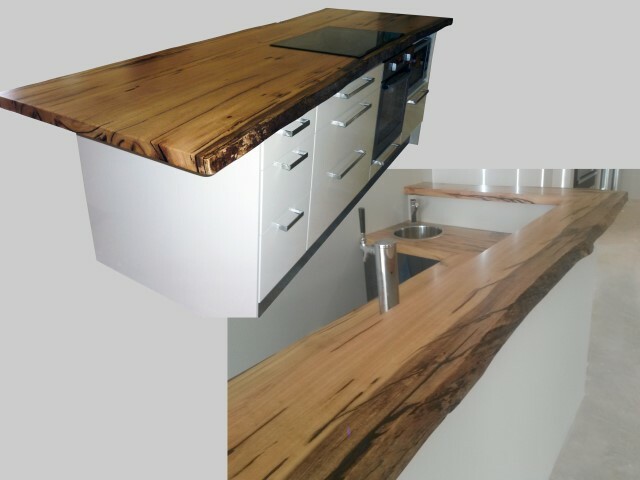 Our prices include cut outs for cook tops and normal sinks. 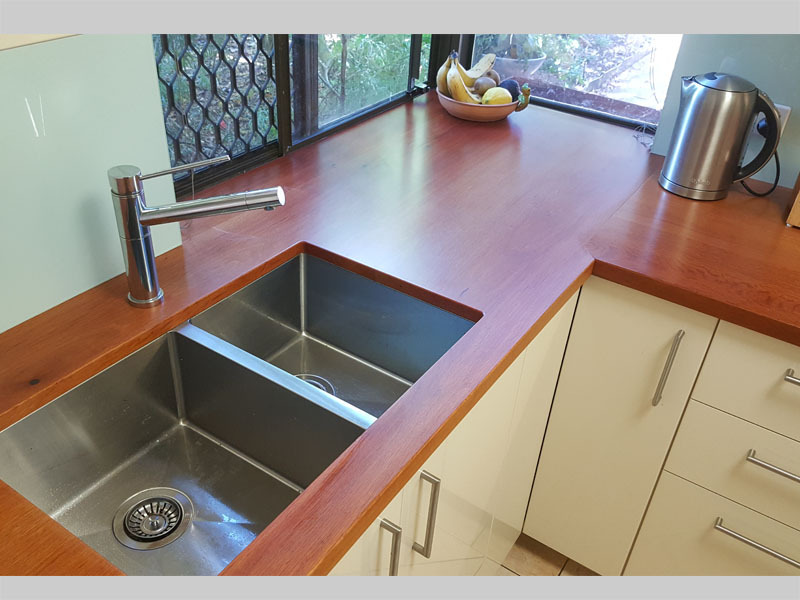 We charge slightly more for under-mounted sinks due to the additional work involved. 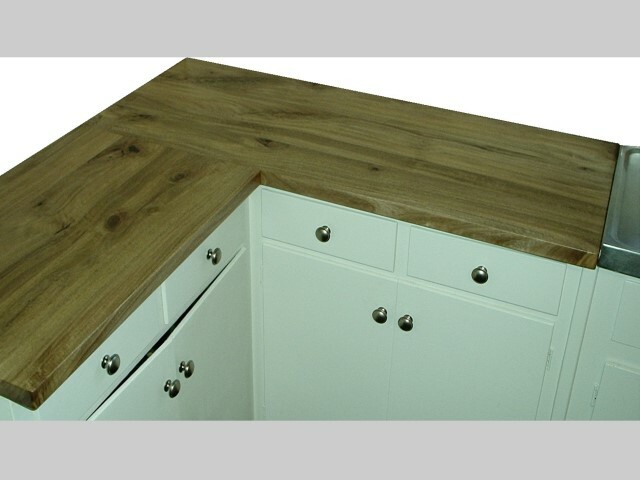 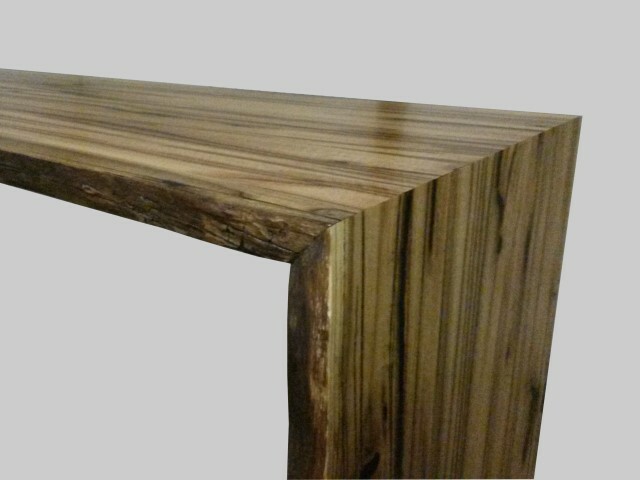 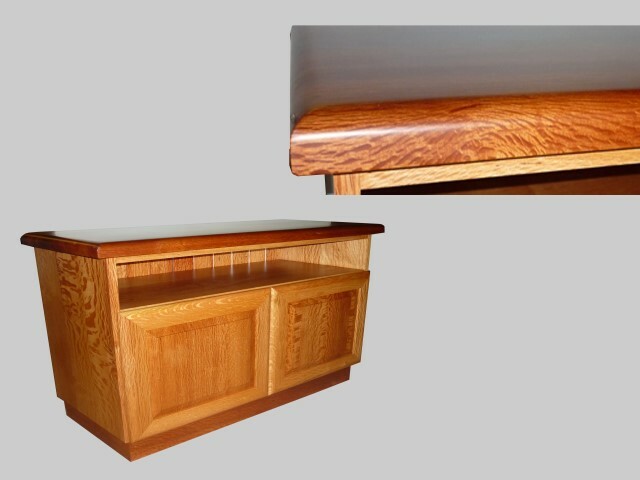 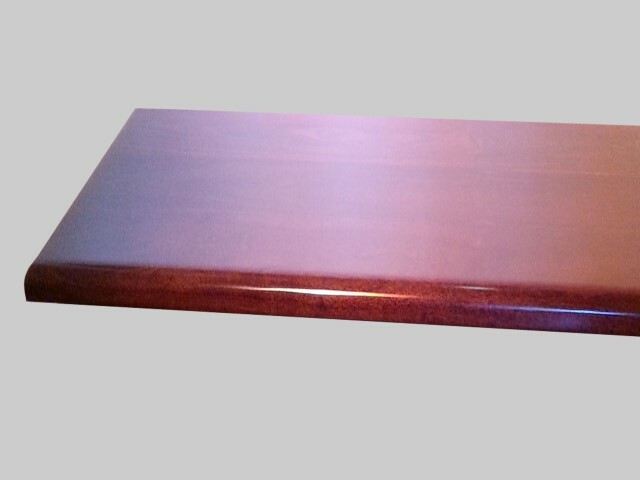 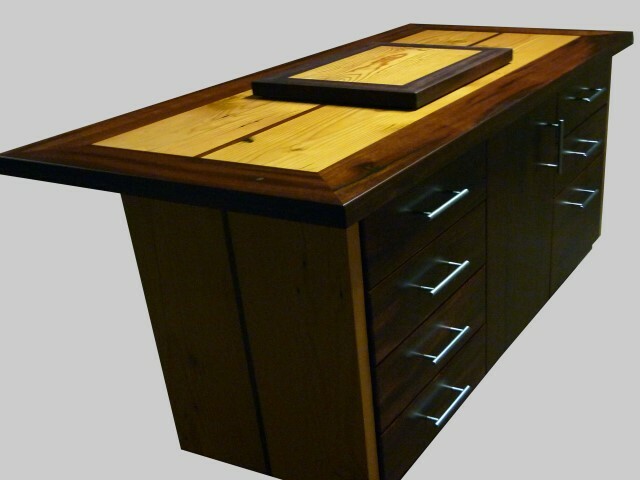 Most of our tops are manufactured by joining several boards across to create the required width. 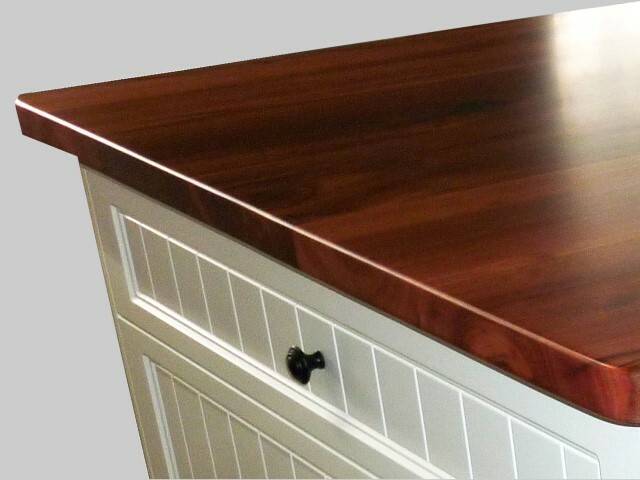 We match the grain so the joins are as inconspicuous as possible. 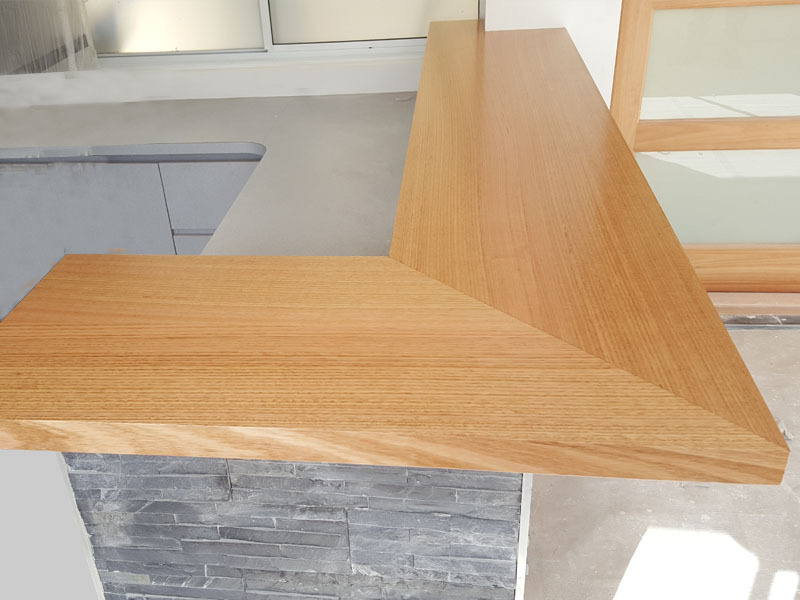 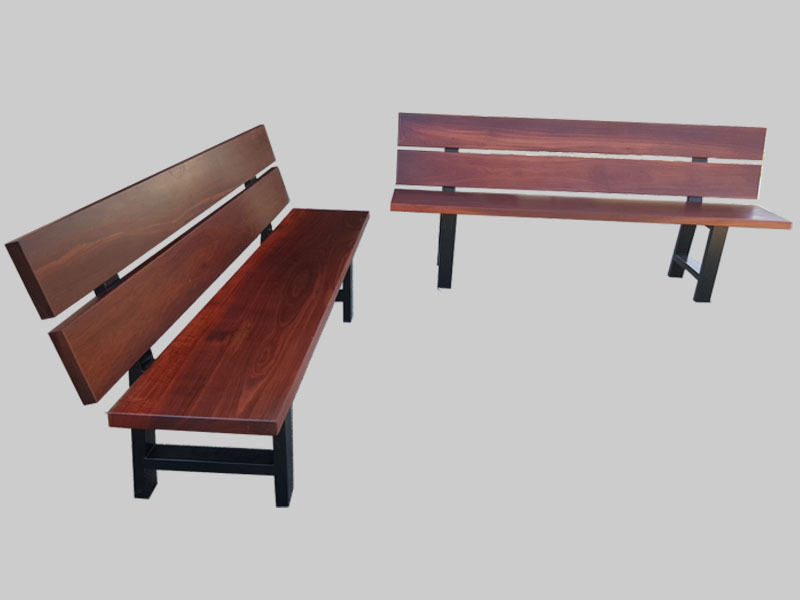 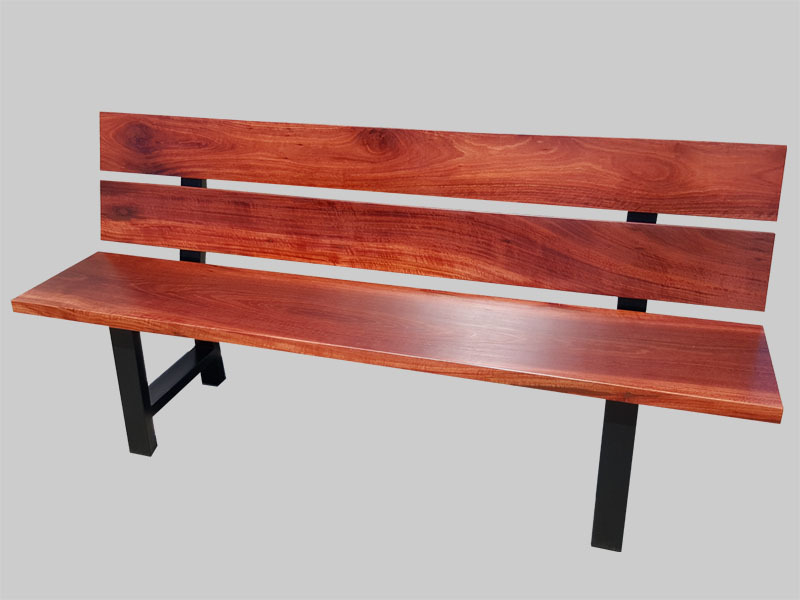 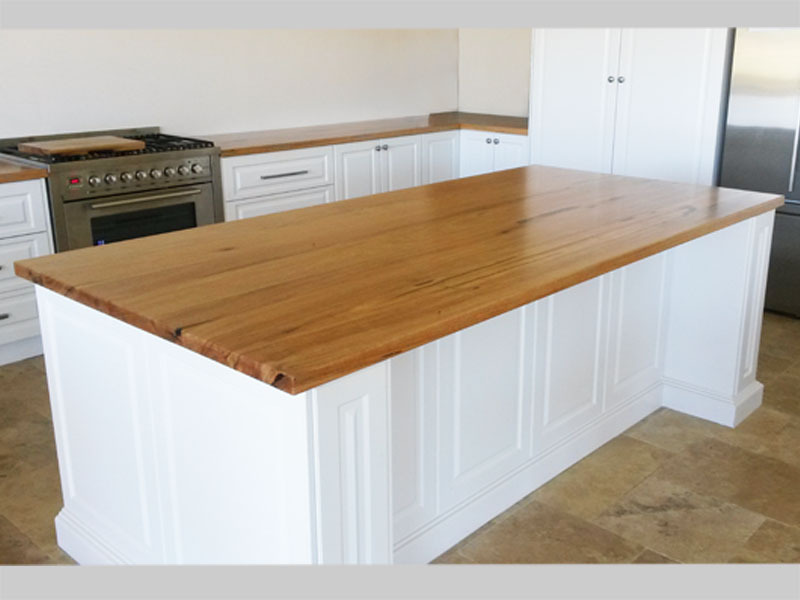 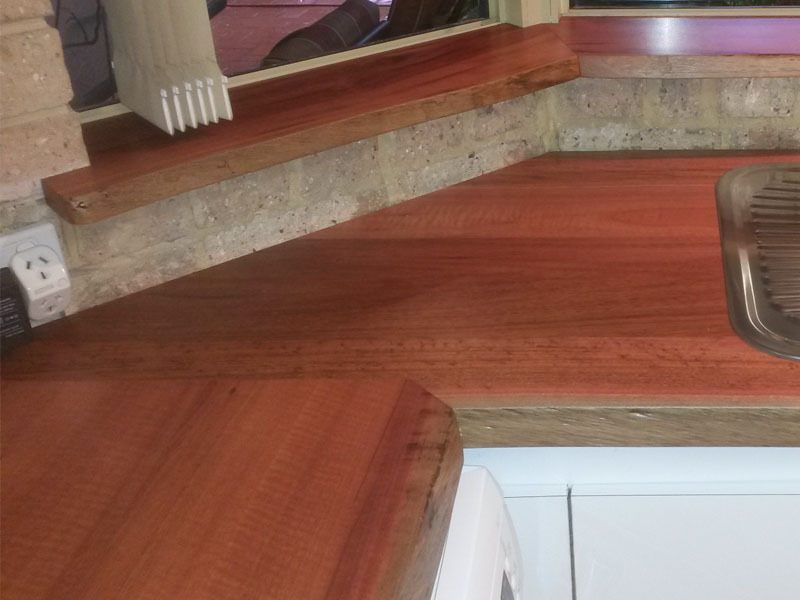 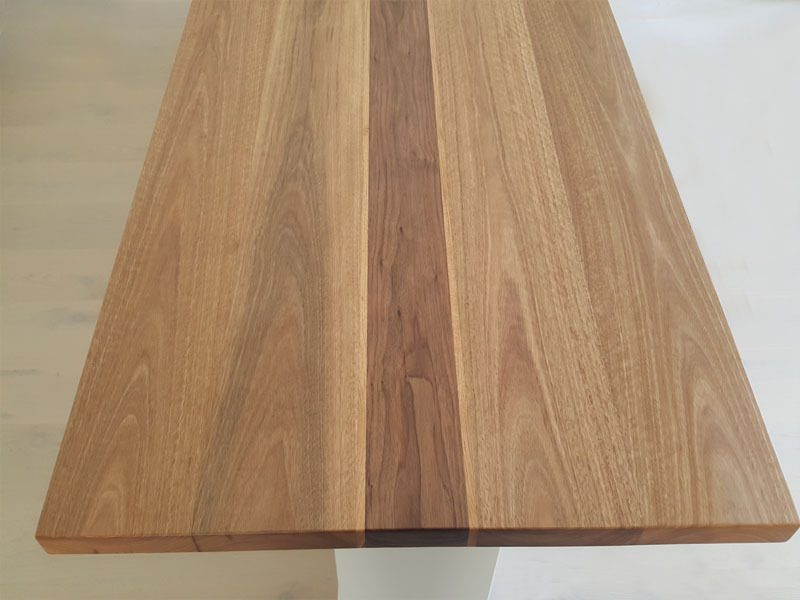 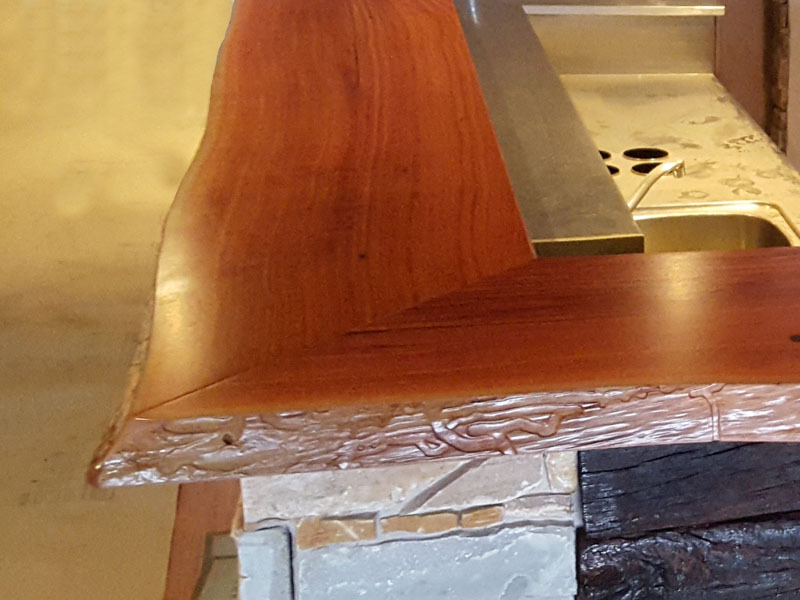 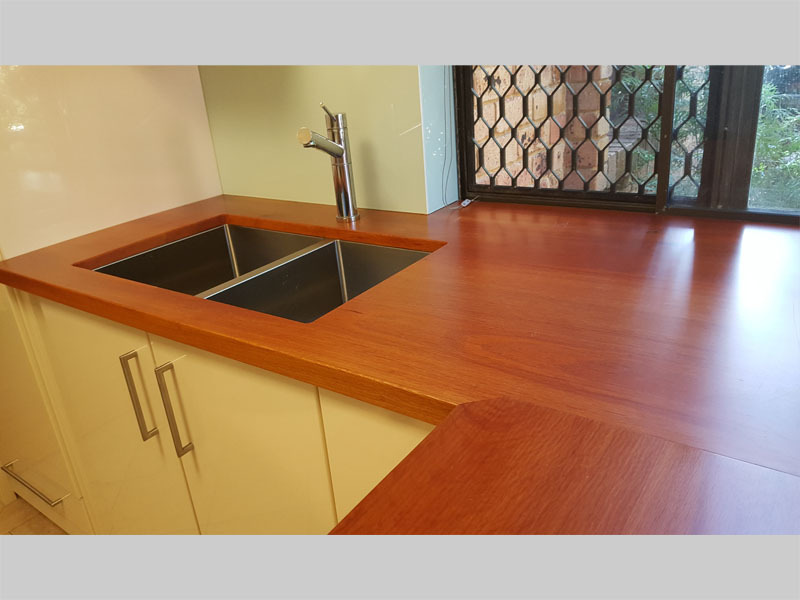 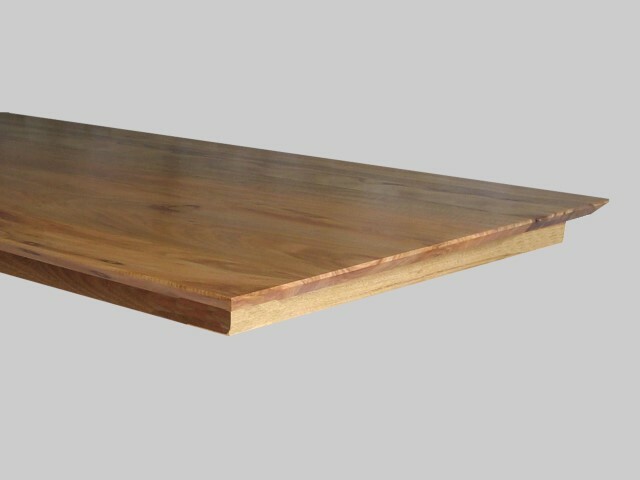 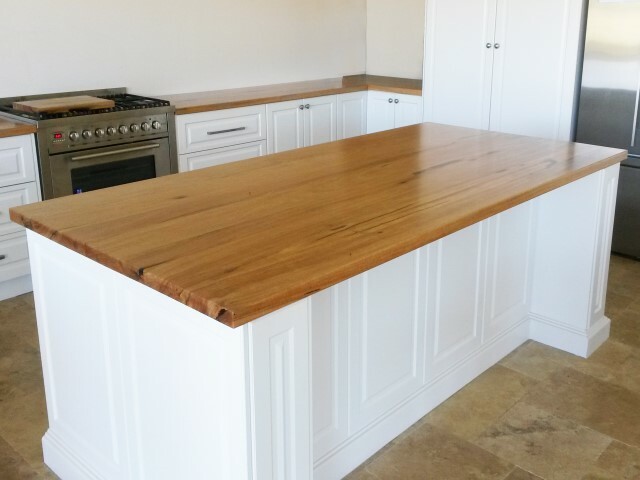 We can manufacture tops from one slab if required, but these cost more due to the higher cost of obtaining suitable timber of the required width. 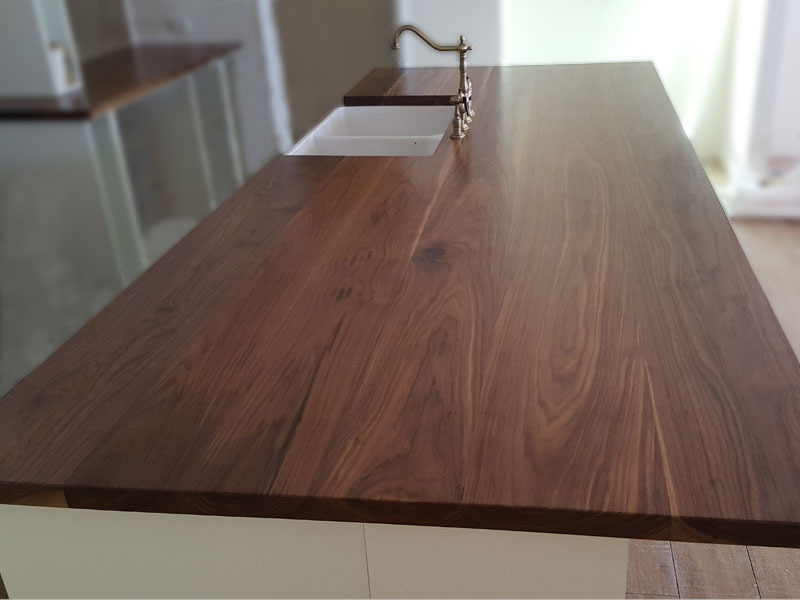 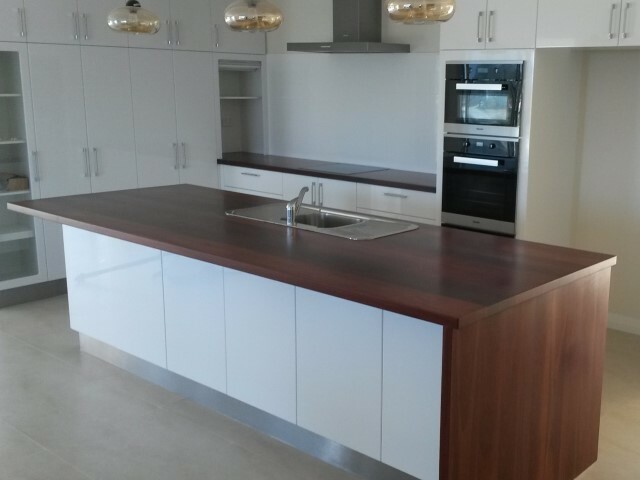 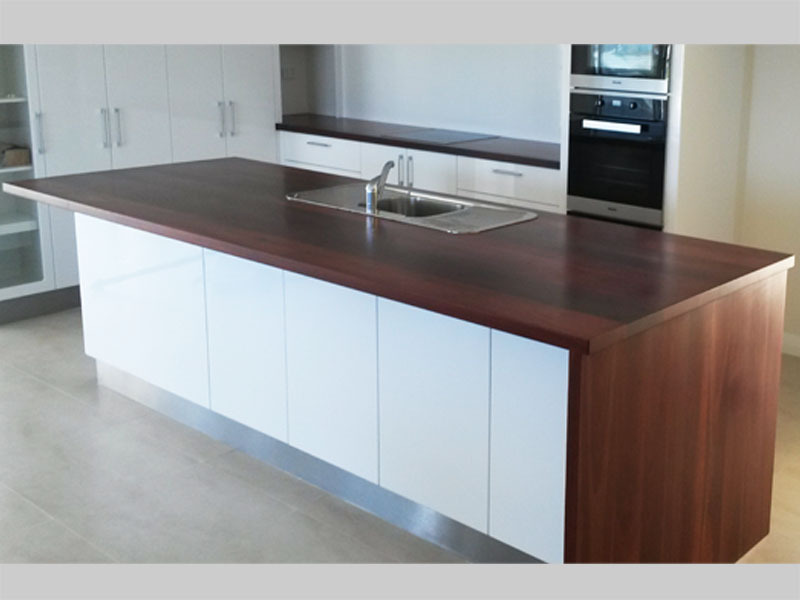 We are able to give a quote based on drawings that have accurate measurements for the bench tops to be fitted. 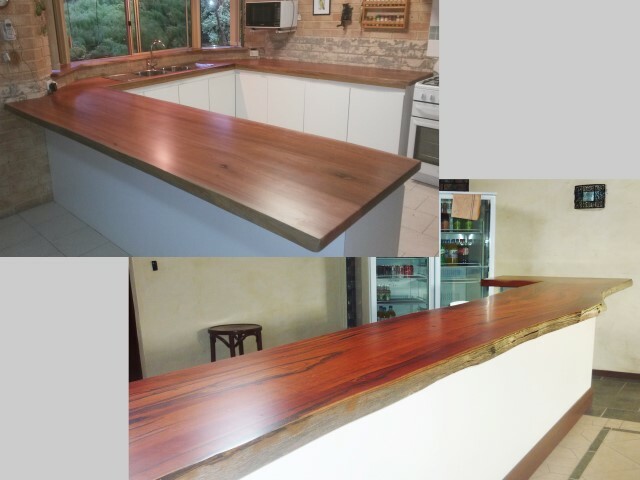 You are welcome to visit our workshop in Armadale to discuss your ideas and see samples of the various options available. 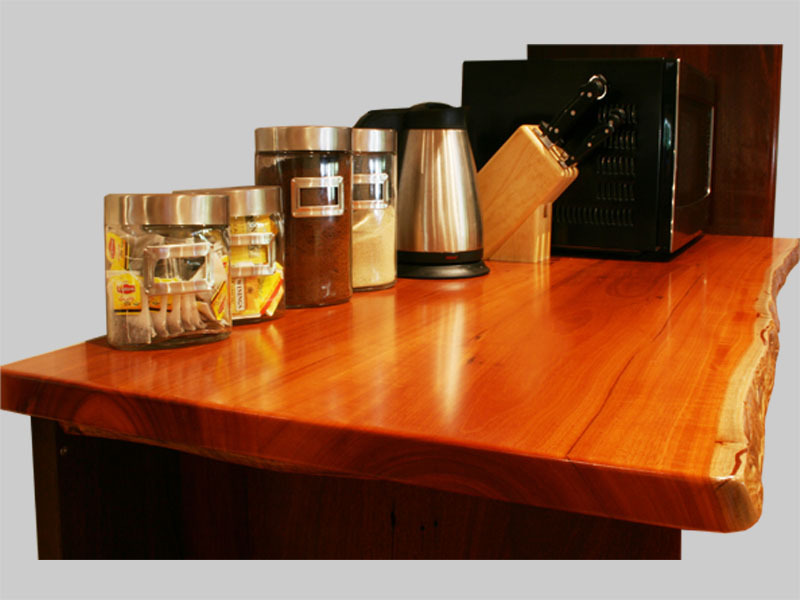 We will also visit your site to measure up and show you samples to consider against other fittings. 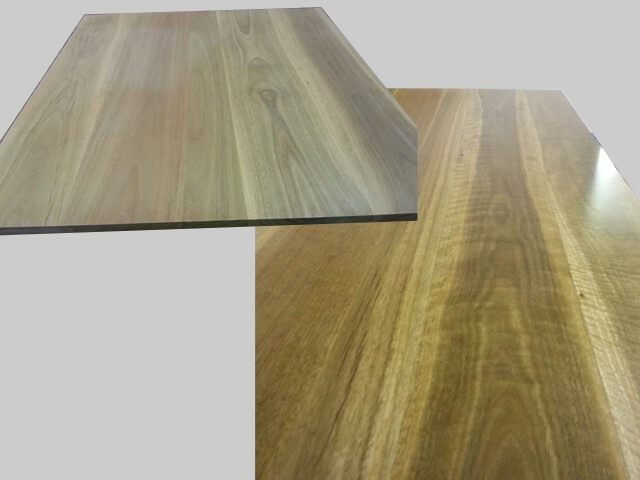 We can make tops any thickness from 20mm to 50mm or even thicker in special cases. 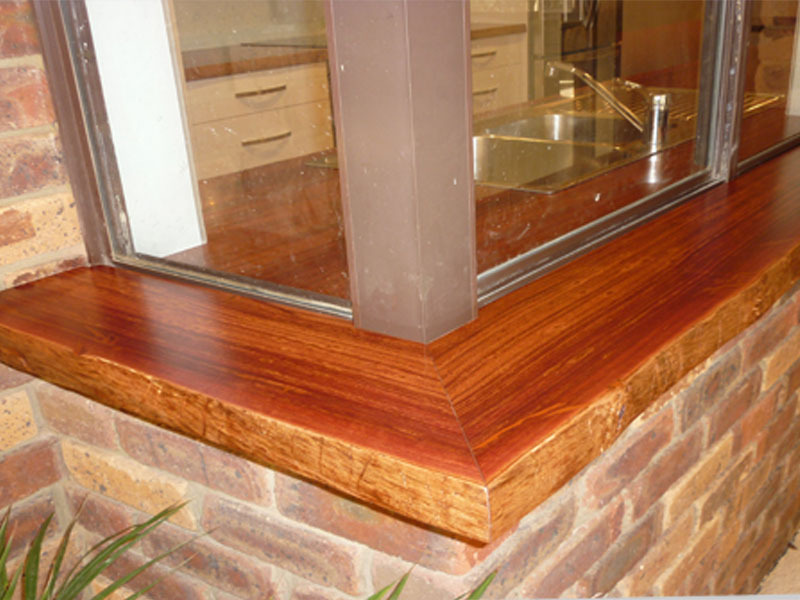 The most common thickness we install is 40mm, as this creates a great feature and is most structurally sound.